It’s the last Argos game preview of the season and even though this is the most media covered CFL game of the year we still give it the Argos Admirals treatment. Thanks for being with us, it’s been amazing to know that a small group of Argo fans were asked by the Argos to keep the team relevant in the social media world a few years ago and is still doing their thing. We aren’t paid and we love the CFL, we just love the Argos a little more than the other 8 teams and yes Halifax that will go for you as well in 2021. It’s a nice reward for us to get to the Grey Cup after a 5-13 season that started so well in the 2016 social media world and fizzled quickly. Enjoy the big game, it may be one of the last Grey Cups held this late in the year if the new commissioner keeps exploring the best time to play the CFL season. I jumped into game previews this season and loved sharing the info that I would always research before each game as a casual fan. Hit me up on Twitter to drop me a line @ptksportsdude to keep the CFL conversation going all year long. Yes as a quick comparison I’m looking at the Argos defence and think it’s better than what the Eskimos defence was last week against Calgary. It’s too easy to say that means the Stampeders will end up with less points that they did in the Western Final but it makes sense when you’ve watched the Argos D all season long. Injuries could have been the easy out excuse for the Argos but they filled in holes with skilled players who didn’t miss a beat. The Boatmen led the CFL with 50 sacks while the Stampeders were second in sacks allowed with 30. It could be a wash when these two front lines meet but I also like the fact that a little pressure on Bo Levi Mitchell means shorter pass routes which the Argos can defend. Marken Michel’s phenomenal 19 yard average on catches is tough to defend, along with the fact the Stamps shared the duties of pass catching with four receivers and the big Canadian Jerome Messam. Less time for Mitchell , even just a little less time would be big for the Argos defence. Roy Finch averaged 16.4 yards on punt returns and 26.8 yards on kick-off returns. Now if the Argos get gutsy he could hurt them , but if the Argos play it safe then their contain coverage is still going to give up some big yards to the Stampeders. I look forward to the watching the strategy of the game on special teams. Calgary’s return game has just been awesome. I’ve talked all year long about the short precise passing game of Ricky Ray. It’s worked as he has heaved the ball up at an incredible rate. Now the Stampeders secondary is very good so do they attempt to cheat and play a short compact defence? All year long I figured the Argos would be doomed with this very well-known script on offence but after watching the season play out , they still have been pretty effective using it. S.J. Green has caught 3,4,5 catches in his last three games. Those aren’t big gaudy numbers we saw at the start of the season so let’s see if Green’s double-teaming gets tested or if the Argos let him float into space and open up passing lanes for the other receivers. Ray airing out the long bomb is something that Calgary is not ready for but are the Argos ready to try it? Folks cheering for the Stampeders are figuring this header means it’s the team in red and white bragging about Jerome Messam’s 1016 yards on the ground along with 33 receptions. Folks cheering for the Argos are pointing out that we are talking about James Wilder Jr. and his insane 872 yards on the ground and 51 receptions in a season where he didn’t even start on the offence. From special teams players and third on the running depth chart to the most important Argo on offence. Pretty good numbers for the CFL Rookie of the Year. Both of these backs will feature in the offence of their team in every game, but with temperatures below zero and some light snow/rain in the forecast it may mean that both backs get more touches if the weather hurts the passing game. As always don’t let the game get decided on a rouge. Liam Hajrullahu has made 48 of 60 field goals this year and is a perfect 39 for 39 on converts. 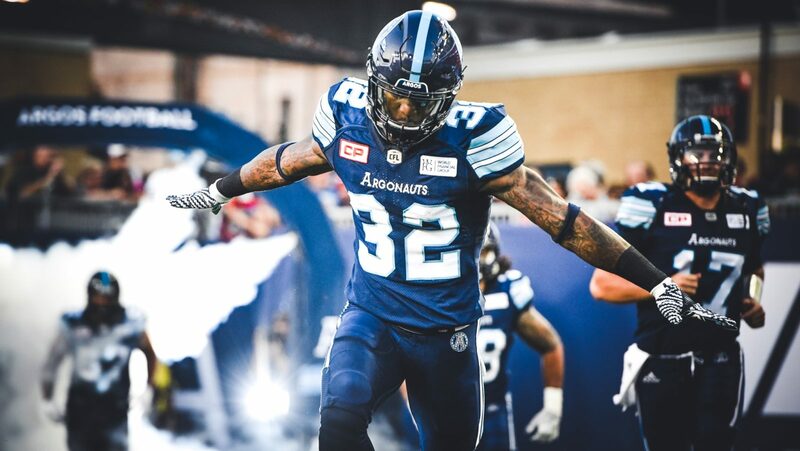 For an Argos team that still has issues inside the red zone, I can see their hopes of winning the Grey Cup coming down to the one man who’s had a great bounce back in his career after an awful 2015 season. He’s operated in Toronto for two seasons with very little fanfare and has done the job of two players to allow the Argos to squeeze in another player on the roster every game day. It’s pure Canadiana when this game gets played and I simply enjoy it, if you read this much of the preview then I know you have stocked the fridge with adult beverages, pretended your snacks are quite healthy and your looking forward to that stat about TV viewership in Canada for the Grey Cup to reaffirm your CFL love. We shouldn’t need that TV stat but as Canadians we are always a little insecure of what we love.